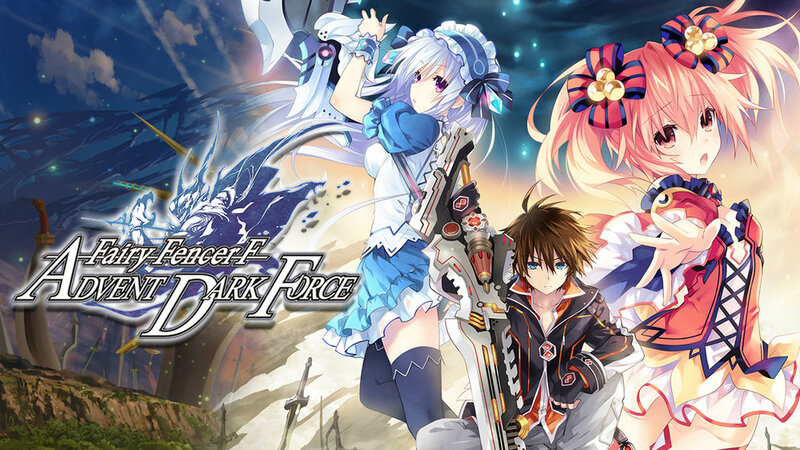 Fairy Fencer F: Advent Dark Force was reviewed by yours truly two and a half years prior for the PS4, itself a remaster of the same title on the PS3. The game is getting a few more miles out of it through a release on the Nintendo Switch. It comes with the previous release's DLC packed-in, though most of that is free to begin with over on PS4 where you can buy the game for $10 less. While I've not seen an official release, I have found claims that the first two weeks post release the game will sport a 20% discount, bringing it down to near the price on another console. You're paying a Switch Tax here, but the Switch admittedly has many benefits in a game as story-driven as Fairy Fencer F.
My original review can be read here, but to summarize this is a traditional RPG story set within the gameplay and graphical stylings of the Hyperdimension Neptunia series of games. As a port of a port though, you can see a bit of the age. Compile Heart/Idea Factory's recent games with heavy story segments have beautifully drawn characters that move ever so slightly whilst talking to you, as if they're breathing or such. Fairy Fencer F has hours of fully-voiced characters and beautiful art, but the only real motion is in the mouths. There may be a couple poses that are slightly tweaked, but most of the conversational action is relegated to paper cutouts moving closer and further from each other with anime style emoticons. It follows oldschool RPG tropes as well, good and bad. While there aren't random battles you do see the enemies in the field, and you will take down tons of the same combination of enemies in order to level up. It's still the same well done story, still fleshed out to be improved like the PS4 edition, but is a carbon copy of the title released on PS4. The extra paths through the back end of the game means you'll run through it several times to see everything it has to offer. We get the Hyperdimension Neptunia style battles in Fairy Fencer F, with turn-based tactics on a full 3D board. We are allowed six protagonists on the field at once, making for some rather intense battles and deep character customization dives. You are given a radius of movement, and each attack has a range as well. Combine this with traditional levels up and equipment as well as the special "Fury" swords that can be used to "Fairize" into more powerful versions of your characters to get a rather deep game engine. To be honest, it really feels like a traditional RPG story skinned over the wackier Hyperdimension Neptunia games as a whole. I'm sure this allows the developers to stretch their creative muscles beyond the oddities of "living video game consoles." The combat on Switch was a little touchy with the small radius of the Joy-Con sticks. I felt that they'd overcompensate and my attack radius would jump around. This makes it hard to line up that perfect sword slash that would hit two or three enemies at once. The Pro Controller's traditional analog sticks allowed a more comfortable range and control akin to the PS4 release. That deep character customization was actually one of my complaints of the title the first time around. I actually missed some power augmentations by not seeing the menu option. Not knowing exactly what each thing did I had a hard time knowing how to upgrade the myriad skills available to my characters. The upgrade tree may be a dream for people who love micromanaging their party to the smallest detail but I longed for an automatic "best option" recommendation. I complained on PS4 that the storyline was perhaps "too polished" as well, with full voice work for everything, big important notifications to catch a 10 second corny joke in towns, and some forced fanservice. Basically, I applauded the effort put in but was dismayed at all the lengthy conversations and unnecessary side parts just to get back to the game play. I have a different view of it on the Switch thanks to it's portability. It felt worthless to sit around taking up my big TV while everyone else wanted to use it to listen to the characters bicker back and forth. With handheld mode I see it more as a good audiobook and have found myself letting them go on and enjoying the conversations a bit more. I also have the option to go full TV mode if I see fit. As I said in the previous release, Fairy Fencer F: Advent Dark Force is worth the time of a classic RPG fan. It's a strange combination of bubbly corny fan service, deep character customization, and tactical battle strategy. It's a carbon copy of the PS4 release. I noted no major instances of slowdown or drop/rise in graphical prowess. Take the button icons off the screen and I'd have a hard time telling which console you were playing. The "Switch Tax" might be worth it on such a heavily story-driven game though those with robust enough internet connections could remote play this one on their Vita for the same benefits. Basic game engine also only appears to allow four save slots on Switch whilst default PS4 memory allows limitless saving. I only use one file in a game like this, so your mileage may vary. As there's a point where you really have to choose which ending of three to head for, four slots should be enough. While there is literally no more content to draw in a player of the previous edition, the booming sales of Switch consoles means there's plenty of people who have never seen this game before and can get a lot of enjoyment out of it so long as they realize the original release was five years ago. When I reviewed on PS4 I had fun but eventually it dropped off my radar and joined my Stack of Shame. Now that I have it portable, I see myself getting back into the world and seeing through the resurrection of the Goddess. Special thanks to Idea Factory/Compile Heart for providing a copy of the game for review!